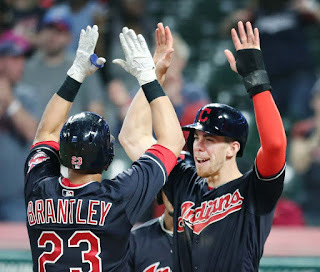 All Things Brantley, All Things Tribe: Brantley's First Career Grand Slam!!! 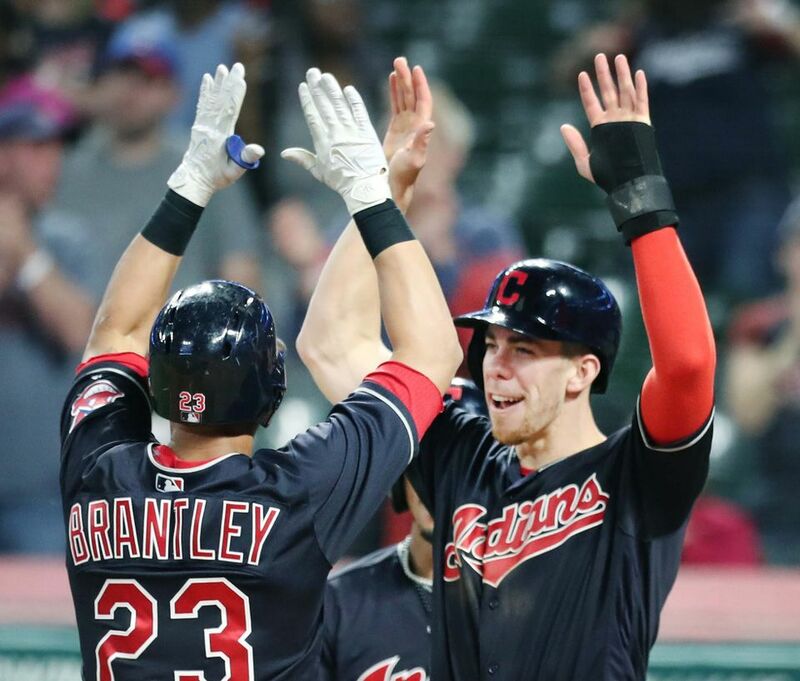 Brantley's First Career Grand Slam!!! sent a high fly ball to deep right field for a game-tying grand slam! the pitch sequence went: called strike, swinging strike, granny. Michael hit Kela's 84.6 mph curveball 392 feet, at an exit velocity of 101.2 mph and launch angle of 31 degrees, per MLBBarrelAlert. you can (and most definitely should) listen to WTAM 1100 radio broadcaster Tom Hamilton's call of the grand slam in the video on mlb.com/indians here. 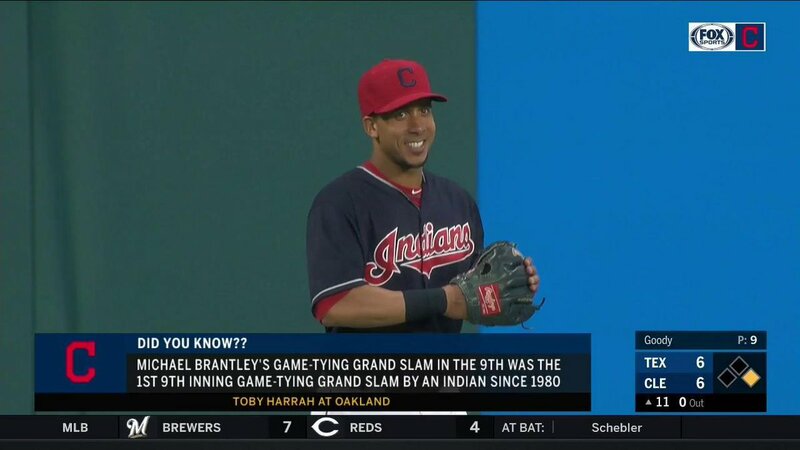 also according to Hammy, this was the first time an Indians player hit a game-tying grand slam in the 9th inning since Toby Harrah did it in 1980! and it was just the second granny by a Tribesman this year, as Yonder Alonso hit one on March 31 against the Seattle Mariners. 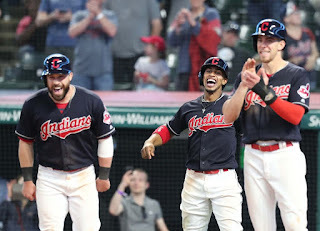 Jordan Bastian provided even more historical context in his article on mlb.com/indians. first off, Harrah's grand slam occurred on July 20, 1980, in Oakland. 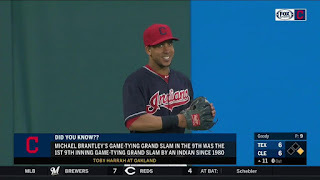 secondly, no Indians player had hit a game-tying slam in any inning since Tony Bernazard's fifth inning slam against the California Angels on June 10, 1987. in addition, the last Major League player to boast a game-tying granny with 2 outs in the ninth inning or extra innings prior to Michael was Kyle Seager, who hit his for the Mariners on June 5, 2013 (in the 14th inning, so tweeted Andrew Simon). after the game, Michael discussed his grand slam. in Bastian and Andrew Mearns' article on mlb.com/cut4, he recounted, "it was great. it was awesome to do it at home, in front of your home fans, so you get the cheers and not the boos. it came at a good time, where it got us back in the ballgame and gave us a chance to win the ballgame. i think that was most important." what was he thinking once the count got to 0-2? did he change his approach? "the same thing i'm thinking anytime. get a good strike to hit. i don't change my approach with two strikes. i'm still trying to see the ball up and trying to get a good pitch to hit. nothing changes with me." 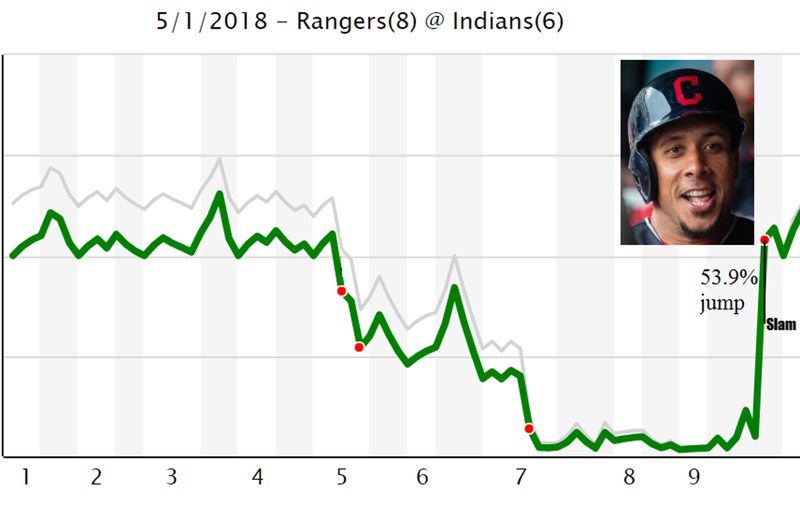 before Michael's at bat, the Rangers had a 95% win probability, per the Cut4 article, via fangraphs.com. 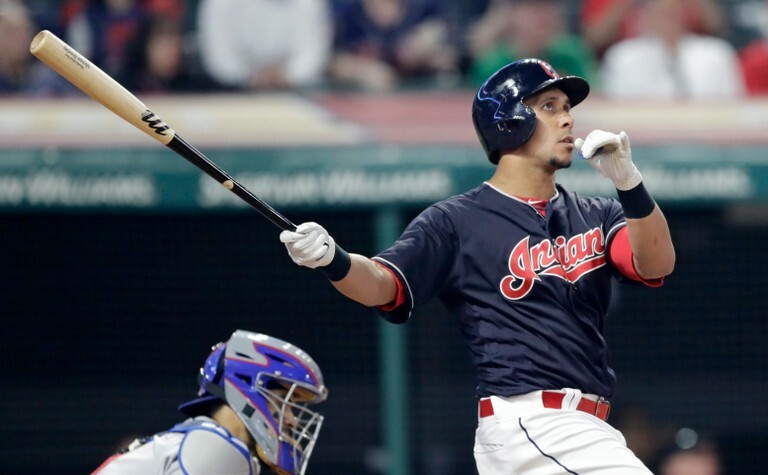 his grand slam increased the Tribe's chances to win by 53.9%. 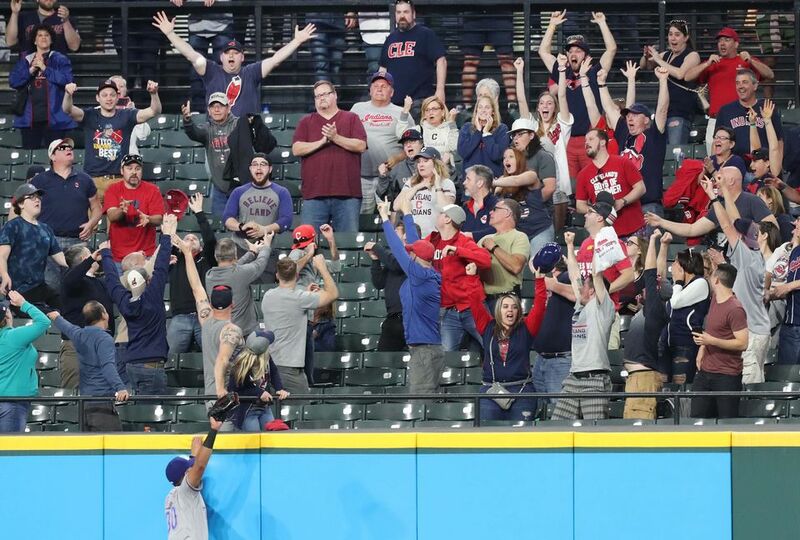 Indians starter Mike Clevinger was in the clubhouse at the time of the slam. 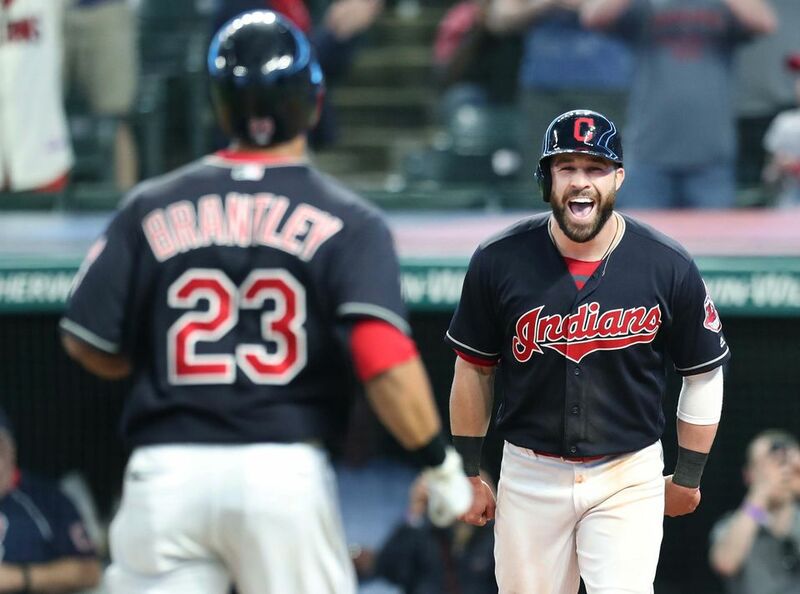 "sitting at my locker," Clev revealed in Bastian's postgame article for mlb.com/indians. "Kela was throwing some electric stuff. as soon as he hit it, we could hear [the fans] erupt right before we erupted inside. we were like, 'oh my god, what happened?' 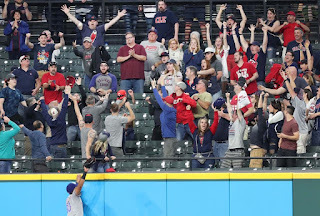 and then we saw it happen [on the clubhouse TV]. and then it was just amazing. a good moment." sadly, Michael's spectacular accomplishment was spoiled because the Indians ended up losing the contest, 8-6, in 12 innings. from Bastian's article on mlb.com/indians, Michael stated, "unfortunately, we weren't able to get the win. but we'll keep battling. never-die attitude. my teammates did a great job of even giving me that opportunity in the ninth inning right there. it was a hard-fought loss." ICYMI: Michael's been off to a terrific start this year, despite opening the season on the disabled list and getting extra days off to rest in April. you can read all about his first month in my Brantley's March/April 2018 #s blog.